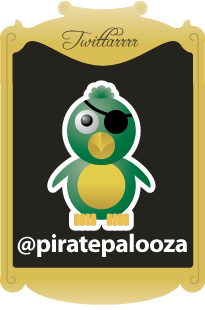 Shortly after Noon on Saturday, April 14th, Captain Drew casually announced to a group of sea pirates gathered at the Tavern Upon the Hill in Newcastle that he had just decided to “run for King”. This was received with much more enthusiasm than his last plan to dig for treasure in a privy. 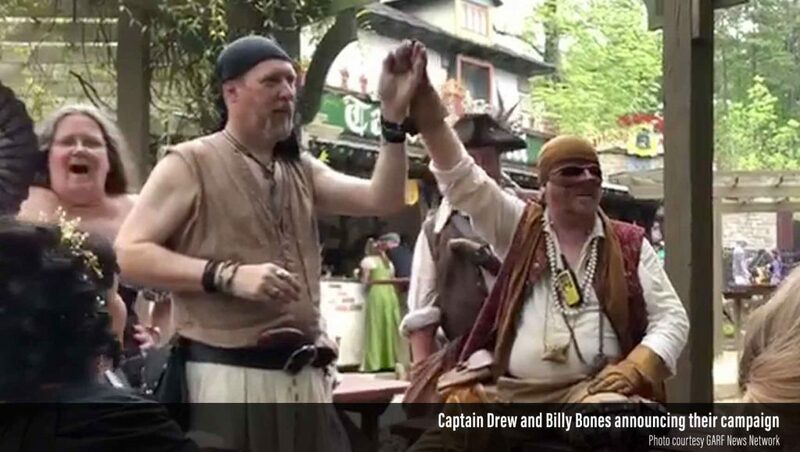 The Captain named his longtime rival Billy Bones as his running mate, cementing Newcastle’s once-fractured Pirate Party into a formidable voting bloc. Set in the Captain’s political crosshairs is a relatively obscure Welshman known locally as “Henry Tudor” and occasionally referred to (by some) as “The King of England and Lord of Ireland“. 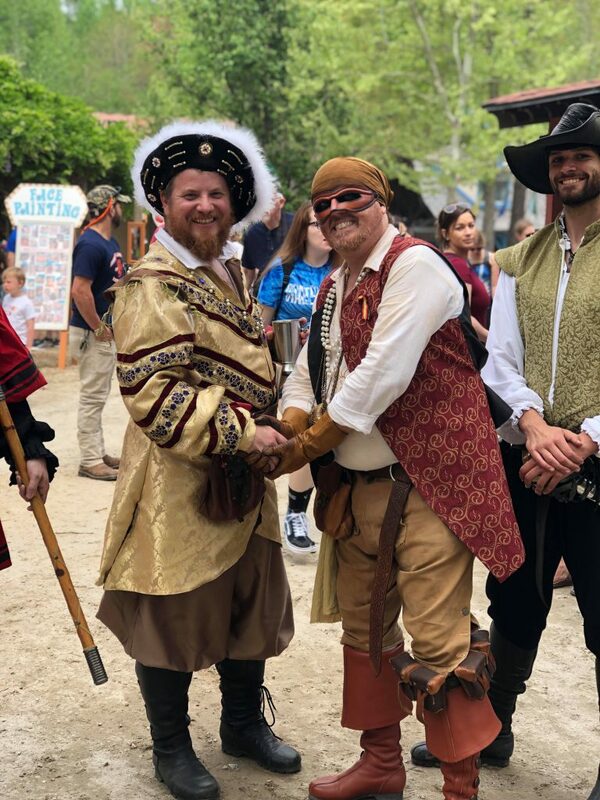 Seen together in this recent tourist photo, Henry Tudor and Captain Drew are likely to wage a vicious media campaign – albeit a largely one-sided vicious media campaign, since the King (referred to as “Two Door Hank” by the Captain) has absolutely no idea who the Captain is. 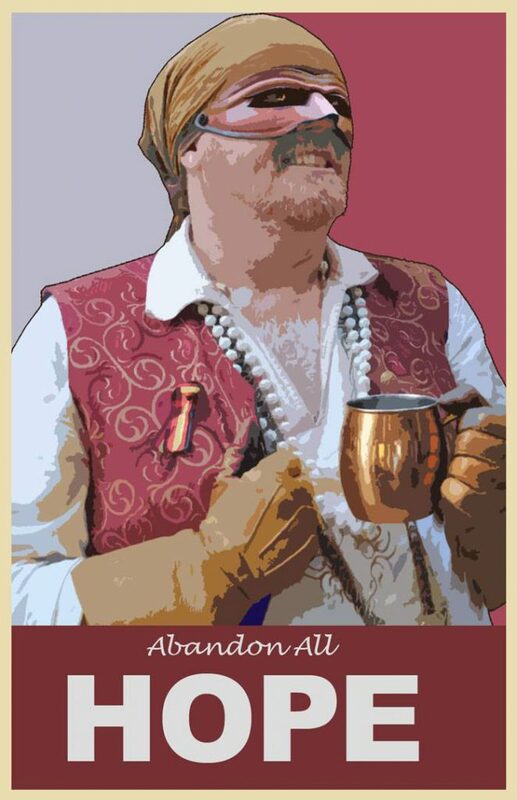 The possibility that “King Drew” could win the 2019 Regal Elections has been dismissed by most royal watchers, as there is no clear path to power since there is no electoral system in Newcastle. Stay tuned for this unfolding drama in Newcastle, and pick your sides NOW! !